Recently I recommended a certain data collecting Android app to my coworker. The application was great, but it was designed to upload collected data to the cloud and didn't offer any means to export or backup information locally. On my coworker's phone, however, this wouldn't work since he was using a stock, non-rooted Android OS. This will prompt you to "unlock your device and confirm the backup operation". To keep things simple do not provide a password, otherwise you will have to jump through the hoops to decrypt it later. Just click on "Back up my data" button. The screen will display the name of the package you're backing up, then close by itself upon successful completion. 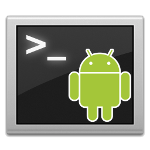 The resulting ".ab" file contains application data in android backup format, which, thanks to +Nikolay Elenkov, is very well explained and documented in his excellent blog post. Basically, it's a tar archive that has been run through deflate and optionally encrypted (in a somewhat peculiar way) by AES-256-CRC cypher. Nikolay even went as far as to write a convenient Java program that can pack and unpack such Android backups with and without encryption. The result is the apps/app.package.name/ folder containing application data, such as SQLite database I was particularly interested in and the application preferences. Update: A few people mentioned in comments below and on StackOverflow that this method doesn't work if application developer has explicitly disabled ability to backup his app by setting android:allowBackup="false" in the application manifest.